Launched in 2013, Satoshi Poker continues to make a buzz in the world of Bitcoin betting through its outstanding poker gambling products and services offered online. This betting site manages to attract numerous bettors from all over the world and is poised to join the ranks of the premier online poker gambling sites that accept the popular digital currency Bitcoin. Check out the features and points that make this betting site a sure hit among online poker enthusiasts. 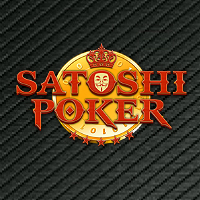 Satoshi Poker features a catalog of poker games and tournaments designed to make every player’s betting sessions rewarding and thrilling. In fact, bettors will find here No Limit Texas Hold’em, Pot Limit Omaha, 7 Card Stud, and 7 Card Stud Hi/Lo. What is even better is that these games are available on various tables in the poker room. Aside from the cash games, though, this site also has a great lineup of tournaments. For instance, Sit n Go and freeroll tournaments are held throughout the day and the week while bettors will also catch Guaranteed tournaments. In order for players to experience playing any of the poker games on this site, however, they must first download its poker software. Downloading and installing the poker client is quick and easy, though, enabling bettors to instantly join any table. The client may look similar to those featured on other Bitcoin poker betting sites, but this software features good points like clear graphics, resizable tables, chat functionality, in-game stats, and organized lobby. Bettors will surely be able to play poker with Bitcoin right away. 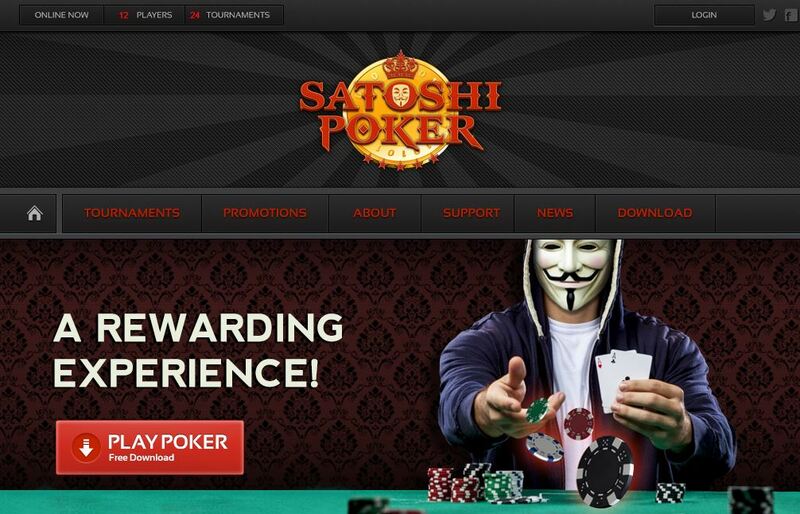 Satoshi Poker surely knows how to keep online poker players to regularly come back to its betting room. As advertised on its site, it presents a low rake of only 2%, but it provides a 20% rakeback for all players. On top of these are the freeroll specials, the Satoshi Bad Beat offer, and the referral incentives. Although there may not be huge deposit bonus deals offered to players, the mentioned promotions are more than enough for every poker enthusiast to have a great time playing in this gambling venue online. Since this poker room is solely powered by bitcoins, it is able to benefit from the convenient perks of Bitcoin betting like lightning-fast fund transfer. As such, making deposits are fast and easy, especially because all it takes to load up one’s account is through directly sending bitcoins to the poker room’s specific wallet address. Meanwhile, cashing out winnings has never been easier in the world of online poker betting. There is no need to wait for several days because the withdrawals are delivered to the players’ Bitcoin wallet in just a few minutes or hours, making Satoshi Poker a real contender to be one of the best Bitcoin poker gambling sites.